A couple of weeks ago I posted my review of a terrific new biography of the Australian diva Marjorie Lawrence: it’s called Wotan’s Daughter and it’s by Australian biographer, Richard Davis. 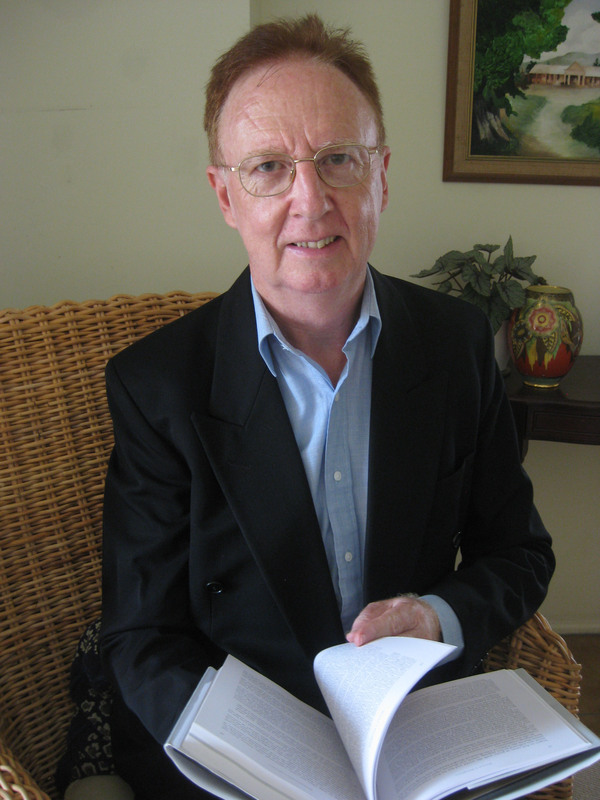 Now it is my pleasure to introduce the author because Richard has kindly agreed to participate in my occasional series, Meet an Aussie Author. Richard was born and educated in Melbourne. He has had a life-long interest in writing which he describes as his only useful talent. In his teenage years Richard was encouraged and supported in his writing by two distinguished Australian writers – Ivan Southall (who wrote those wonderful children’s books Hill’s End and Ash Road and the Simon Black series) and Ian Marshall (of I Can Jump Puddles fame). Later he also received encouragement from Patrick White who became and remains Richard’s literary hero. [And mine too]. On leaving school Richard pursued a thirty year career in commerce, married and raised a family. ‘I never stopped writing,’ he says, ‘but my writing didn’t pay the bills or pay off the mortgage.’ It was not until he reached his mid-forties that Richard took up full-time writing and since then he has produced a steady stream of books – both popular and academic. Geoffrey Parsons: Among Friends (another Australian and recognised as the leading piano accompanist of the last half of the twentieth-century); and most recently Wotan’s Daughter: The Life of Marjorie Lawrence which chronicles the life and career of another remarkable Australian and was published last November by Wakefield Press. Richard’s work in this genre earned him the Joan Sutherland and Richard Bonynge Award in 2011. You can read my review here. Now here are Richard’s answers to my questions! I was born in an era that seems long past, when teachers were respected, the pubs closed at six and politicians expected to be believed. When I was a small child (and an only child of mature aged parents) I was so insecure that anything I wrote was immediately destroyed for fear that someone might criticise it. In a sense I suppose I was doing myself a favour. Most professional writers would wish to see their invariably derivative first efforts shredded or burned. I was lucky a few years later to be encouraged to write by some famous writers who generously shared their time and wisdom with me. I am also indebted to an aged aunt who fired my enthusiasm for words when I was no more than three or four, by buying me the latest Walt Disney comic book every week (they cost a shilling). Great literature it was not, but by the time I started school I could read quite proficiently. I write in a room set aside for that purpose where I’m surrounded by hundreds of reference books. The view of my garden from the window is an inspiration and a tonic when I need it and so are the endless cups of tea which (like Norman Lindsay) I drink while writing. I write early in the morning and again in the late afternoon – about six hours per day and seven days a week if I’m facing a deadline. I don’t write at night since I discovered that whatever I commit to paper after dark is usually twaddle. Research is a major component of writing biographies and I admit that playing detective and foraging for facts among dusty old papers is one of the great joys of my writing career. Research has also taken me all over the world and given me opportunities to travel to places I would never otherwise have visited and to meet countless numbers of interesting people. I keep my published works shelved along with all my other books and within reach for when I need a shot in the ego. I can’t remember the day on which my first book was published but I’m sure I felt proud, as I do to this day when I hold a new book in my hand for the first time. At the moment I’m working on a new popular title and researching for two possible new biographies. All still under wraps at the moment, I’m afraid, but watch this space. When I’m stuck for an idea, a word or a phrase I just put down the best I can come up with in the moment. Sometimes it will be an imperfect word or an imperfect phrase, but that can always be worked on later. I find it’s better not to interrupt the flow by worrying too much about such details. My thanks to Richard for supplying the biographical information and for generously answering my questions! We look forward to seeing the next biography soon! 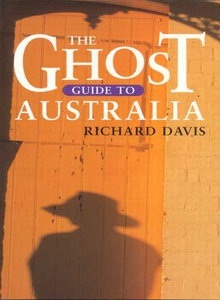 To buy Richard’s books, click the covers (except the Ghost Guide to Australia, it seems to be unavailable now). I can’t count the number of authors whose advice is simply to get the words down and they can be changed later even – as one writer told me – if it is absolute “shite”. And here’s another terrific writer agreeing with that commandment. Interesting that Richard is not at his best after dark, when so many other writers come out with their A game. Ms. Hill, thanks for your comments on Mr. Davis’s biography on Marjorie Lawrence. I am attempting to reach Mr. Davis either by email and letter. I worked with Marjorie Lawrence (as her accompanist) for many years and would like to contact him. Hello Harry, thank you for your kind comments, it’s a fine biography. I’m afraid I can’t pass on Richard’s contact details, but I’m sure that if you contact his publisher they will forward on any correspondence. The publishing details are at the bottom of the review. And there’s a story titled ” the spectral bride” which I found absolutely intriguing . By so many witnesses . Hello Steven, as you can see from my reply to Harry above, I am really only hosting this page for Richard Davis, so I would suggest that you also try contacting him through his publisher.